Medical laboratory scientists are a critical part of the health care industry, although their efforts can sometimes go unnoticed. With a never-ending line of tests to run and results to return, “lab rats” usually stick to their work, rarely interacting with patients or some of the other aspects of a hospital. Leah (Weiler) Cate pursued an atypical experience as a laboratory scientist and was rewarded with the good fortune to meet colleagues from around the world, learn new skills and see firsthand the difference health care can make in a patient’s life. After receiving a degree in biology from Truman in 2010, Cate earned her MLS certification through a program at St. Luke’s Health System in Kansas City, Mo. 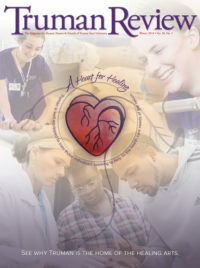 She continued her career at the hospital, and although she enjoyed the work, she was interested in pursuing volunteer opportunities abroad. Mercy Ships is a non-profit organization that provides free surgeries to people in underdeveloped countries. At any given time, it has between one and three ships in service, mainly in Africa. Once docked in port, the staff provide medical assistance on the ship for up to 10 months. Services vary depending on the needs of the patients and the expertise of the doctors, but often include treatment for burns, goiters, benign tumors, cleft lip repairs, orthopedic surgeries and cataract procedures, among others. “The types of surgeries the ship does are mainly for things that we take for granted here in the states,” Cate said. In addition to providing medical services, the Christian-based organization offers many programs off the ship, including dental clinics, church services and support of nearby orphanages. Mercy Ships also has helped to renovate an old hospital, and its volunteers regularly teach locals what they can do better in terms of health care. Cate has twice served on board Mercy Ships, in 2015 and 2016, both times in Madagascar. As a volunteer, she did not receive any compensation, and she paid her own expenses, including travel to the ship. Those were not the only sacrifices she made. Mercy Ships do not have access to blood banks like hospitals do in developed countries. All of the blood used during surgeries on the ship comes from the staff. Cate donated during both of her stints with Mercy Ships, and actually hand delivered it to the patients. Her second donation went to a young child named Jeremie. 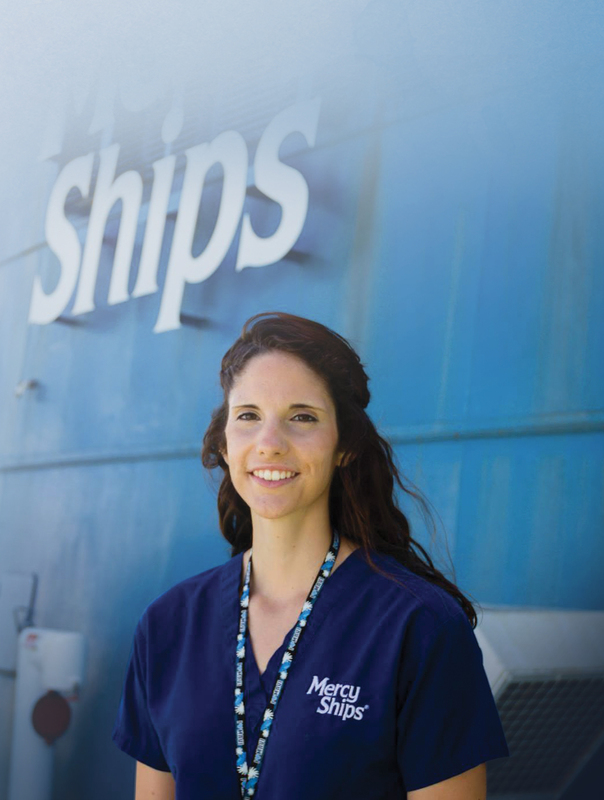 Since her time with Mercy Ships, Cate has settled in to a permanent job at a hospital system in Warrenton, Va., and is happy working as a generalist in the lab. She has considered going back to school for nursing and would also like to serve with Mercy Ships again before she and her husband start a family.